Locally owned and operated since 1939, City Bakery LLC has built a reputation with the locals for having the best-baked goods in Sheboygan. We pride ourselves on being home to Sheboygan’s exclusive hearth-baked hardrolls and breads, authentic Fleishbrok, Bavarian pretzels and fresh quality pastries. At City Bakery LLC, our team of highly skilled staff specialize in a wide range of baked goods including breads, cakes, pastries and artisan breads. 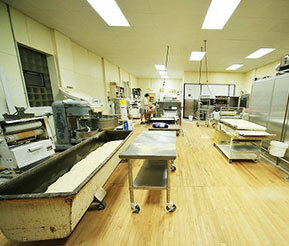 All of our baked goods are deliciously crafted, but we are most famous for our hearth baked hard rolls. Our Sheboygan hard rolls attract customers throughout the region. The smell alone makes our shop irresistible! Travelers make a special stop in Sheboygan to get a taste of our specialty hearth baked hard rolls. With such delicious breads and pastries, City Bakery LLC has topped the list of local bakeries in Sheboygan County, WI for decades. We are locally owned and operated, established in 1939. Our rolls and breads are loaded in a brick oven and baked to perfection with generous amounts of steam. We offer a wide range of artisan breads and a full line of fresh quality pastries. Our reputation for delicious goods has attracted travelers throughout the county. Check us out on Facebook to stay informed of our specials! Stop in today for mouthwatering fresh-baked goods of all kinds, including our famous hearth baked hard rolls.